Contender for the World: Whiskey Beach by Nora Roberts. My Verdict: I was expecting to be swept off my feet by the ‘Queen of Romance’ but was terribly disappointed. A bit too homely for my liking. Sally, this looks more amazing than the usual powerpoint. Have you considered selling the template! I am feeling very awestruck looking at it, but was inspired after reading Senga’s post to explore further. You know I love this. I’ve just been thinking that this would be an awesome group activity in a bookclub. I am becoming increasingly aware of myself as a visual learner. This blog post from the wonderful Sally Pewhairangi is a great reminder of this for me. This had a dual effect on me. Firstly, I immediately saw the potential for English teachers to use this as an analysis tool for their class novel studies. 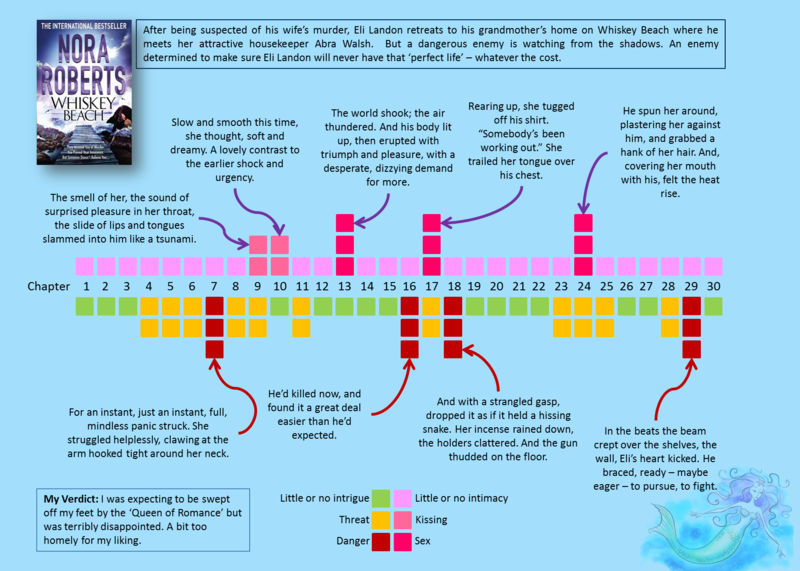 The students could create their own key as to how to analyse the text, maybe as a plot summary or maybe as a way of charting use of language, or possibly even plotting a character’s movement or development during the novel. I’m sure there are other ways to use it too. Secondly, it reminded me of why it’s so important to share your ideas with others, and how exciting it is to have new ideas sparked by others sharing their experiences. This is so cool! Love the concept! I’ll already shared this with my HOD English as an idea for students who are more visual to analyse their class text, using their own key. What platform did you use to create this, Sally? I’m glad you like it Senga and I’m sure it’ll fire up the imagination in English classes. I used my trusty Powerpoint skills to create this visual feast.